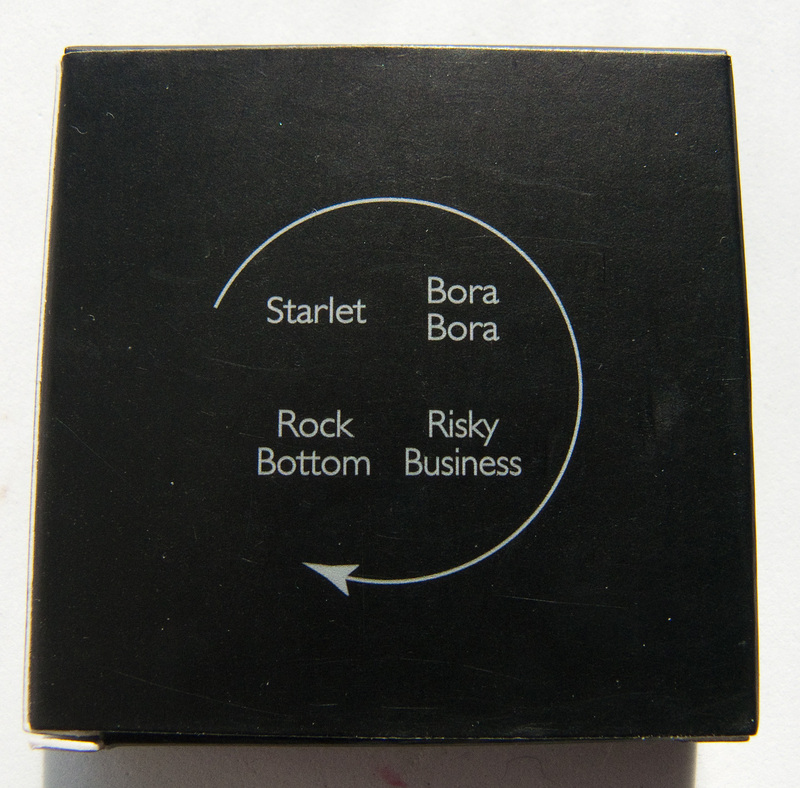 Be a Bombshell Cosmetics Eye Shadow Quad in Bora Bora with shades in Starlet, Bora Bora, Rock Bottom, & Risky Business. 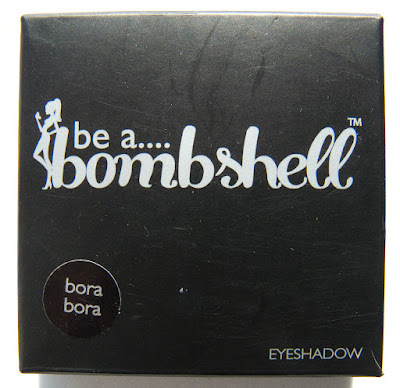 The Be a Bombshell Cosmetics Eye Shadow Quad retail for $7US with 4.5g / 017oz worth of product. 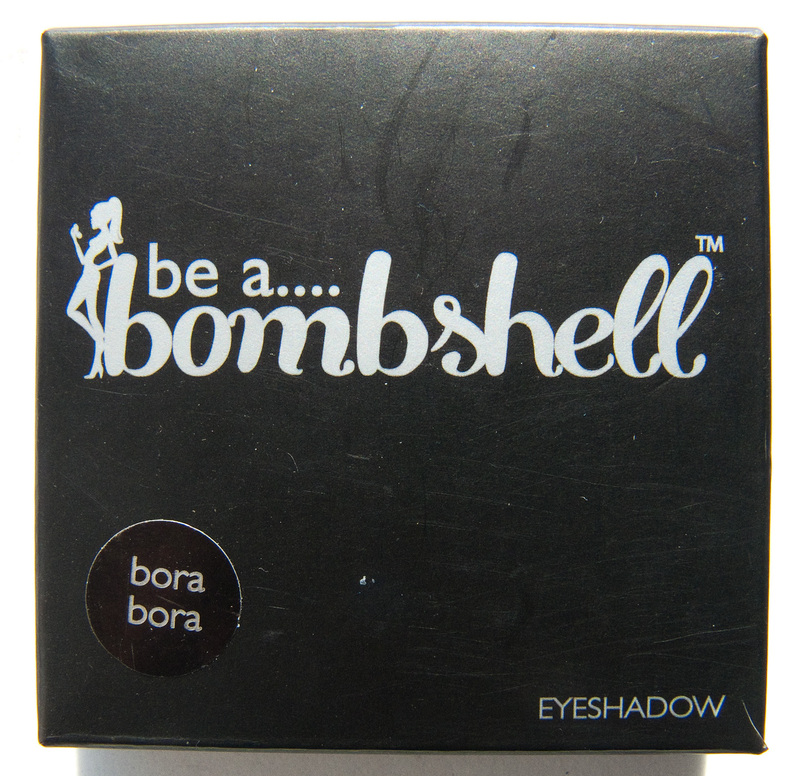 Be a Bombshell Cosmetics Eye Shadow Quad in Bora Bora. MICA, MAGNESIUM STEARATE, MINERAL OIL, ETHYLHEXYL PALMITATE, DIMETHICONE, SILICA, POLYBUTENE, METHYLPARABEN, PROPYLPARABEN. 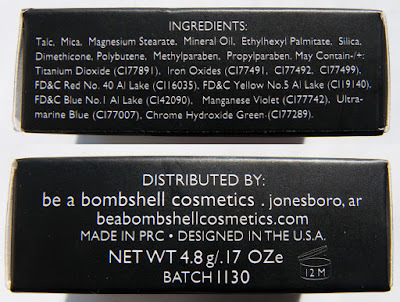 MAY CONTAIN: TITANIUM DIOXIDE, IRON OXIDES, D&C RED NO. 40, FD&C YELLOW NO. 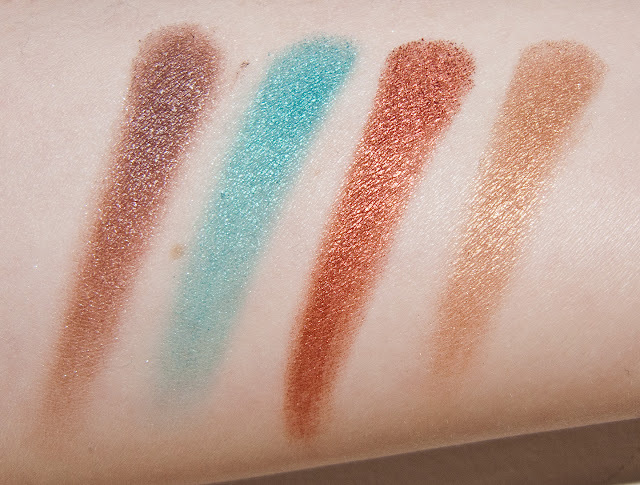 5, FD&C BLUE NO. 1 AL LAKE, MANGNESE VIOLET, ULTRAMARINE BLUE, CHROMIUM HYDROXIDE GREEN. Product: The formula in these quad is pearl for all 4 shades. 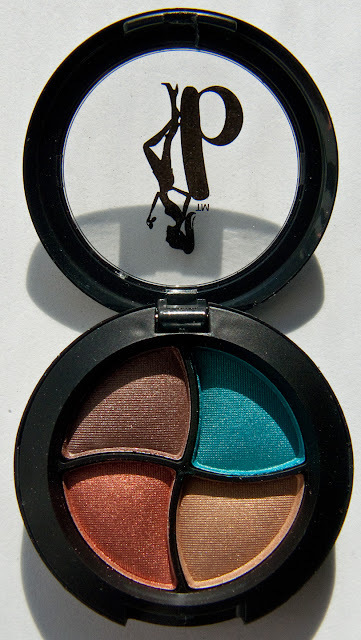 The shadows are highly pigmented and a touch powdery but I find them very build able and workable on bare skin. It feels like the China formula eyeshadows found in the numbers palettes (think 88 and 120 palettes ;) ). Starlet is a warm brown with a pearl finish. 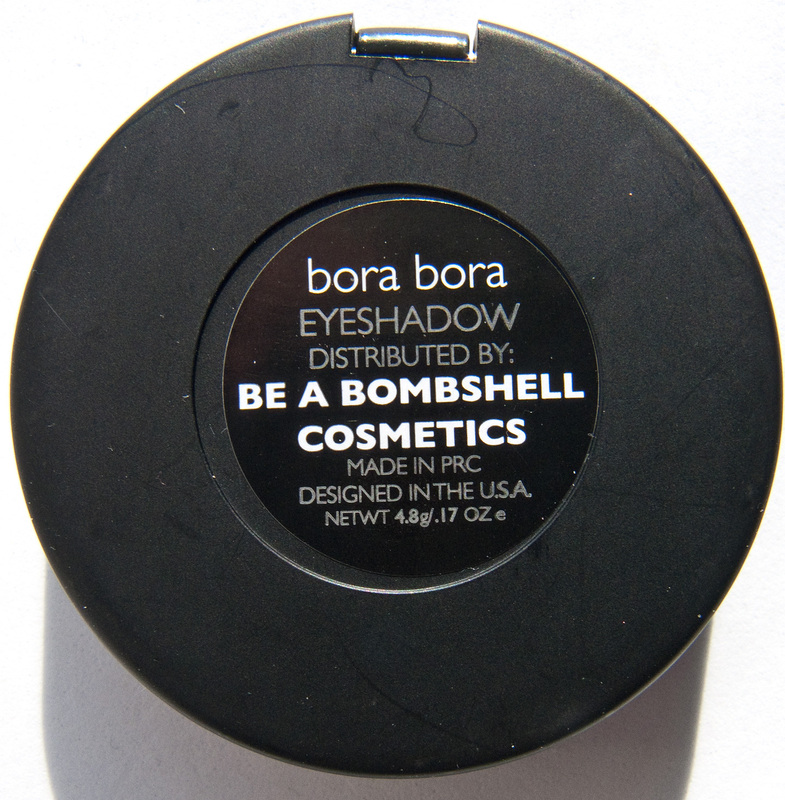 Bora Bora is a bright turquoise with a pearl finish. 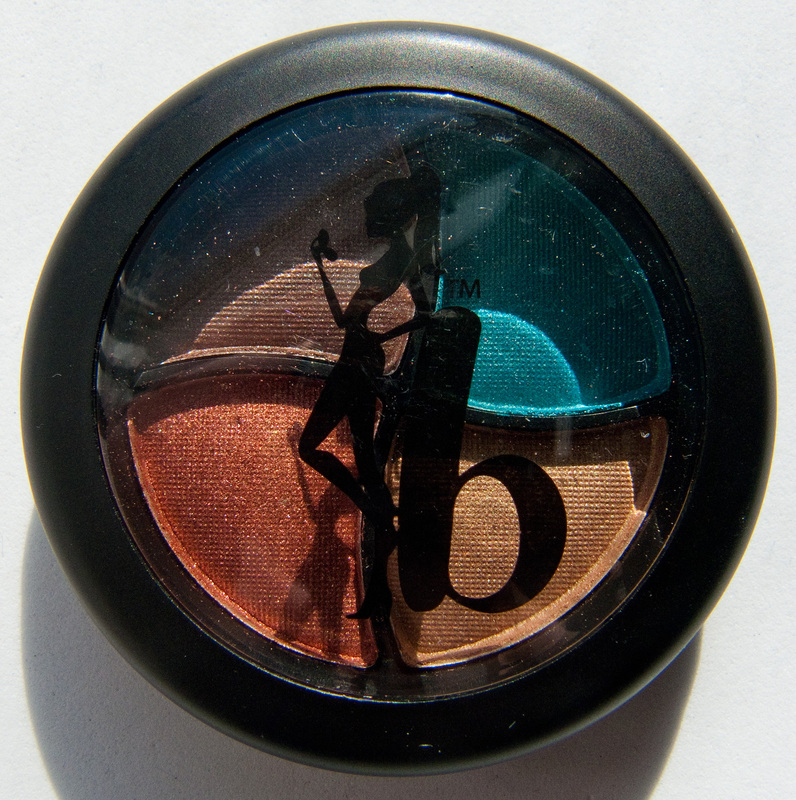 Rock Bottom is a copper orange brown with a pearl finish. Risky Business is a gold with a pearl finish. Wear: These wear for 5-6 hours on their own. 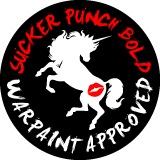 Not bad but much better with a primer. Packaging: Simple plastic compact with a clear lid. The dividers have a interesting shape with matching pans. 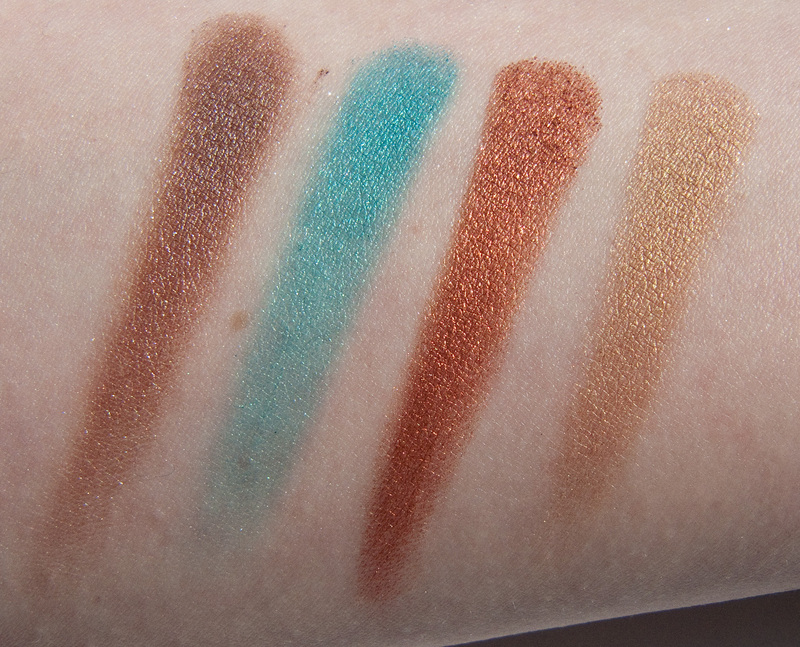 Daylight swatch: Starlet, Bora Bora, Rock Bottom, & Risky Business. Flash swatch: Starlet, Bora Bora, Rock Bottom, & Risky Business.